The latest update to Bioware's Mass Effect: Andromeda includes a number of fixes and tweaks to people's faces, which tended to go... awry, but more importantly (for us) it also added a new difficulty mode for the co-op mode. Along with that, a familiar alien race should be making its appearance in the mode's newest APEX right about now. The patch notes, which can be read in full over here, are rather vague about the whole thing and only say "also added Platinum difficulty to Multiplayer, featuring a new mixed enemy faction." 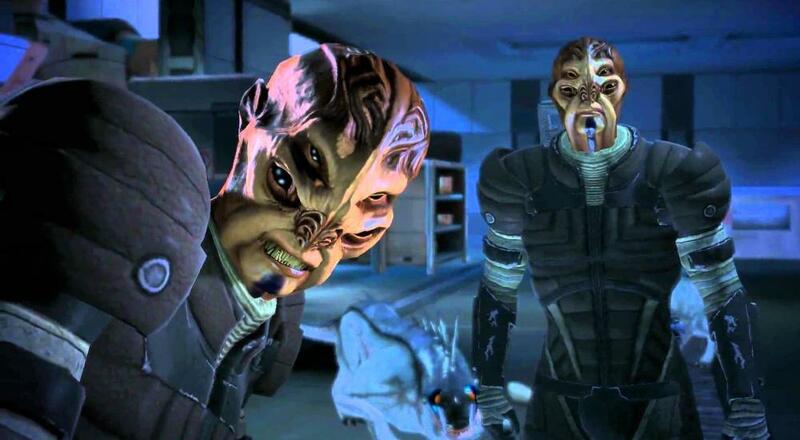 However, the original tweet that teased this new mode also included a video of a Batarian, one of the alien species that made its debut (in a manner of speaking) in Mass Effect 2. Then, just a few moments ago, the Mass Effect Twitter account announced the new APEX mission (Firebase Magma) that gives players a chance to unlock a new class: the Batarian Scrapper. Mass Effect: Andromeda is available on PC, PlayStation 4, and Xbox One. Co-op is available in the multiplayer/co-op mode only, and supports up to four players online.